John Deere's AMS customers rely on wireless connectivity to get the most out of their equipment on a daily basis. According to recent news release, the Federal Communication Commission (FCC) has adopted a “Report and Order” that takes critical next steps towards promoting the deployment of the wireless infrastructure necessary to provide the public with ubiquitous, advanced wireless broadband services. The FCC’s Report and Order updates and tailors the manner in which the FCC evaluates the impact of proposed deployments on the environment and historic properties. Put in simpler terms, the FCC is pushing local entities to be more compliant with efforts from wireless companies looking to add or improve wireless service. This decision comes at a critical time, as the agriculture industry increasingly relies on wireless, internet-connected devices to improve the effectiveness of the overall operation. The FCC’s decision comes after a group of John Deere managers came together to voice their advocacy for increased broadband coverage in parts of the country where it’s critical to agriculture. The USDA has also recently aided wireless expansion, loaning nearly $40 million to improve broadband service in rural part of Minnesota, North Dakota and Texas. 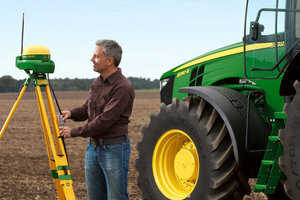 As products like John Deere’s AMS continue to be adopted by producers and incorporated into their daily operations, wireless coverage will be a critical factor towards success. The FCC’s latest decision is an indication that the government is recognizing wireless connectivity’s critical role in today’s society.